An example of Sri Lankan automotive ingenuity traversed oceans and time zones with Emirates recently to compete at an exciting international racing event at Silverstone in the UK. Emirates SkyCargo was entrusted with transporting the racing car, designed, developed and built by the students of the University of Moratuwa with funding support and guidance from the Sri Lankan automobile giant DIMO, to the UK to demonstrate the country’s prowess in designing and building innovative automobiles. ‘DI-MORA P2’, the racing car of ‘Team Shark’ from Moratuwa University was securely transported to the world’s largest student motorsport competition, Formula Student 2018 through Emirates Wheels- Emirates SkyCargo’s specialised air transportation solution for high value and concept automobiles. Emirates SkyCargo regularly transports high value, unique and luxury automobiles on both its passenger aircraft and freighters across its global network. Managed under Emirates Wheels –the vehicles are handled by experienced personnel that are specifically trained on loading and unloading from the aircraft with utmost care and attention to vehicle, the staff and aircraft. 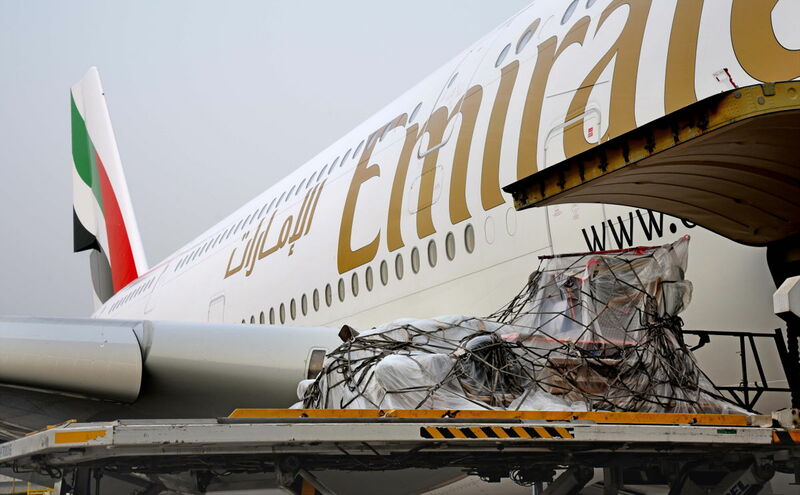 This is the second time that Emirates SkyCargo was contracted to transport a custom-built racing car from Sri Lanka. In 2016, the airline transported the car’s predecessor ‘D-MORA P1’ to Northamptonshire, England, to compete in the same competition. 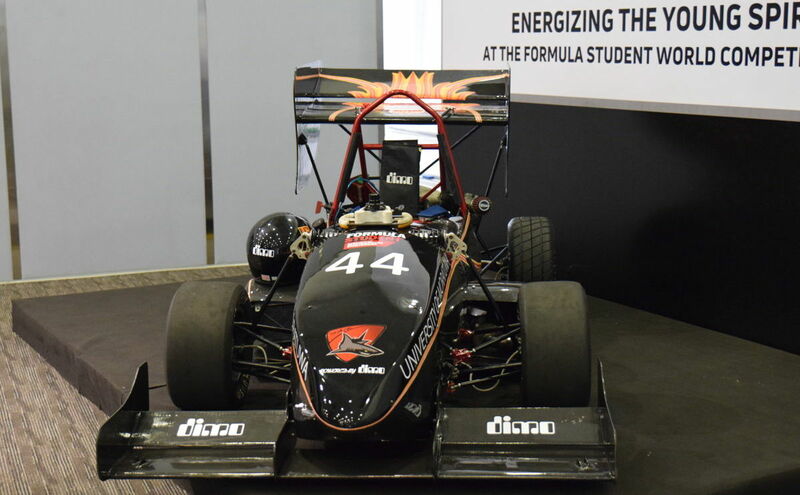 Lighter and faster than the previous edition, D-MORA P2 was built by students from the Mechanical Engineering Department of the University of Moratuwa with the assistance of Diesel & Motor Engineering PLC (DIMO), one of the leading automobile and engineering companies in Sri Lanka. The car was one of 92 entries to have successfully claimed a place for the competition at the iconic Silverstone Circuit. DIMO sponsored the entire project from building and testing the car, arranging and financing the team’s logistics including air freight of the car and inland transport for the team while in the UK, as well as arranging necessary insurance cover for the team and car while in the UK. DI-MORA P2 was built with high performance materials such as aircraft grade aluminium and carbon fibre which enabled the team to reduce the weight of the car to 195kg from the 300kg of DI-MORA P1. A 2-cylinder 650cc Yamaha engine, coupled with a custom engineered paddle-shift transmission, propels the race car to 100kph in under 3.5 seconds. In addition, using novel manufacturing technologies such as 3D-printing, the DI-MORA P2 has components designed for performance rather than using off-the-shelf parts. Emirates SkyCargo is the largest international airline cargo operator in the world. 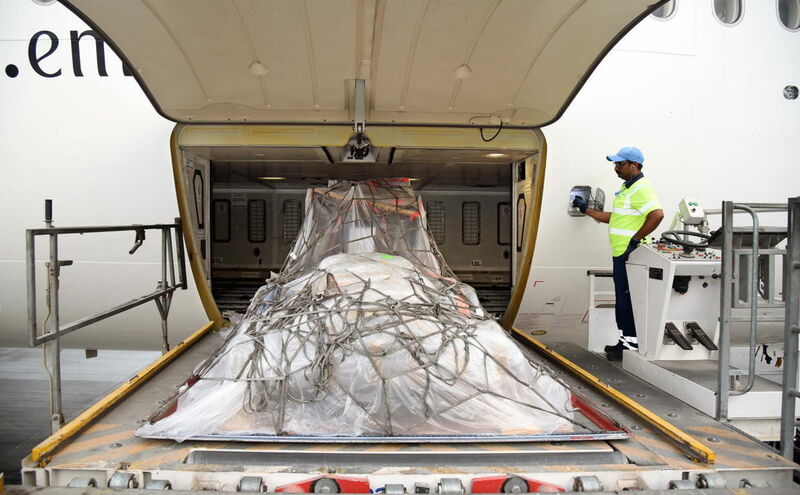 An unrivalled route network connects cargo customers to over 160 cities across six continents, while the division’s cargo hold capacity encompasses Emirates’ fleet of over 270 aircraft, including 14 freighters – 13 Boeing 777-Fs and one B747F. Emirates, which celebrated 32 years of serving Sri Lanka earlier this year, currently connects Sri Lanka to the world with 35 flights a week from Colombo — 28 flights a week westward to the Maldives and Dubai and a daily flight eastward to Singapore.